Washington, DC – The National Oceanographic Partnership Program (NOPP) is pleased to announce five award recipients from the “Marine Mammal Detection and Monitoring” solicitation for fiscal year 2011 sponsored through funding provided by the Office of Naval Research (ONR); the National Science Foundation (NSF); the National Oceanic and Atmospheric Administration (NOAA); and the Bureau of Ocean Energy Management, Regulation and Enforcement (BOEMRE); American Petroleum Institute (API); and the National Fish and Wildlife Federation (NFWF). Government agencies and industries that operate in the marine environment frequently need to be able to detect, locate and identify marine mammals during their activities (i.e. naval exercises or geophysical surveys). Following a peer-review process, five research projects submitted from university, government and industry collaborators were awarded funding to pursue advances on this front. The awardees will focus on research activities such as developing new marine mammal detection/classification/localization algorithm development, acoustic metadata management, visualization and data processing and autonomous vehicle capabilities to enhance monitoring and mitigation during marine operations. For more detailed information on each funded project, as well as a list of partnering institutions, click here. 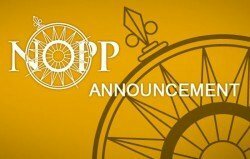 For more information on NOPP, visit the program’s website. Ocean Leadership is a Washington, D.C.-based nonprofit organization that represents 96 of the leading public and private ocean research education institutions, aquaria and industry with the mission to advance research, education and sound ocean policy. The organization also manages ocean research and education programs in areas of scientific ocean drilling, ocean observing, ocean exploration and ocean partnerships.